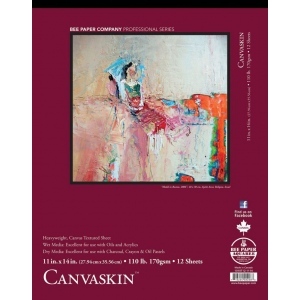 CanvaSkin is the original textured canvas paper that replicates the surface of cotton canvas. 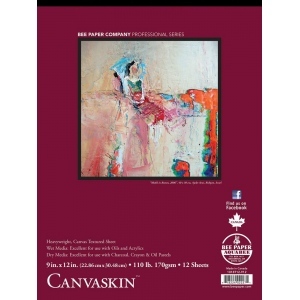 * Excellent for use as a practice pad with acrylics oils charcoal crayon and oil pastels. * Heavyweight 110 lb (170 gsm).